Since the beginning of february, 3 new instructors were added to the team. We would like to introduce them to you. 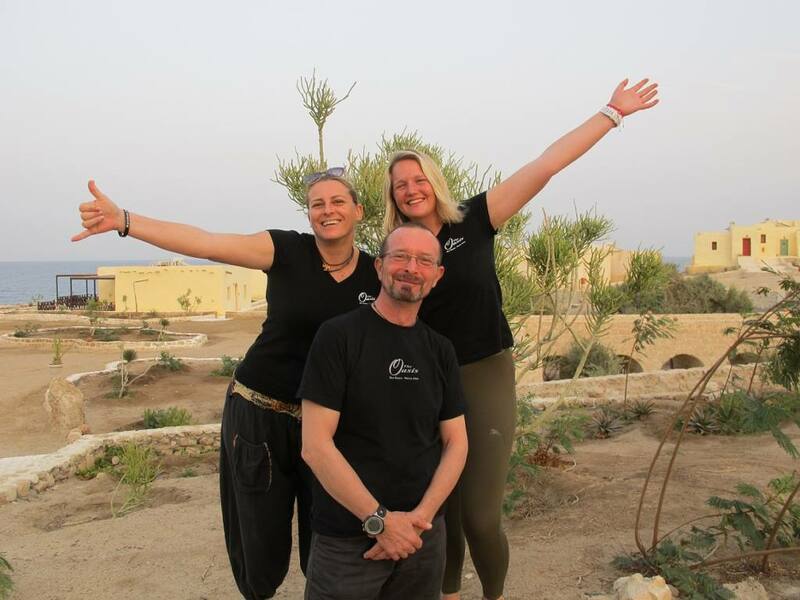 Simone, on the left side and Hannes in the middle of the picture are a German- Austrian couple who decided to continue their journey here at Oasis. Their last destination was Thailand. They are both instructors of PADI, SSI, CMAS and VDST. Hannes is teaching since 2004 and Simone started her instructor career in 2006. Together they have been working in several diving centers in Egypt amongst others in Sharm El Sheikh, Hurghada and Safaga. Hannes would love to see a dugong after his 13 years in Egypt whereas Simone is on the hunt to dive with the Egyptian whaleshark. Hannes was already lucky at one of our new divesites in Sheikh Malek where he got to dive with the seacow. Fritzi, on the right hand side of the picture did her PADI instructor in Hurghada last autumn. Some might know her from the Werner Lau Diving Center in Fuerteventura where she was working several months last year. Egypt is like her second home as she was regularly coming for snorkeling and diving as a child in the Red Sea. Straight after her OWD in Germany she travelled to Egypt where she did her first dives with Kazo, our new diving center manager. Her next goal is to dive with the hammerhead sharks on Elphinstone Reef.